The primitive beauty of gold sand and tiny pebbles is worthwhile seeing but difficult to access. 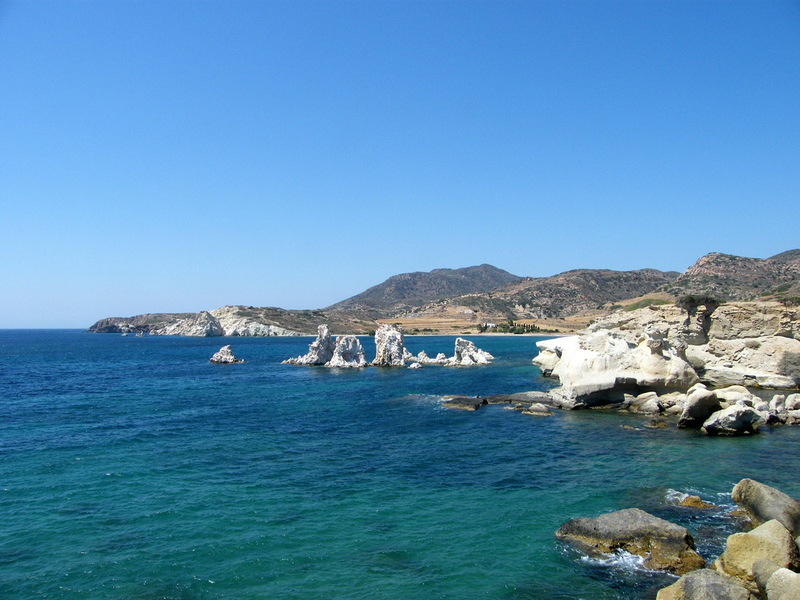 A beach of great tourist importance standing over the ancient civilization of Kimolos and the necropolis of the Geometric period amazingly curved onto the rocks. Its cherished history makes it ideal for swimming and snorkeling adventures back through time as well as taking pictures of underwater troves.